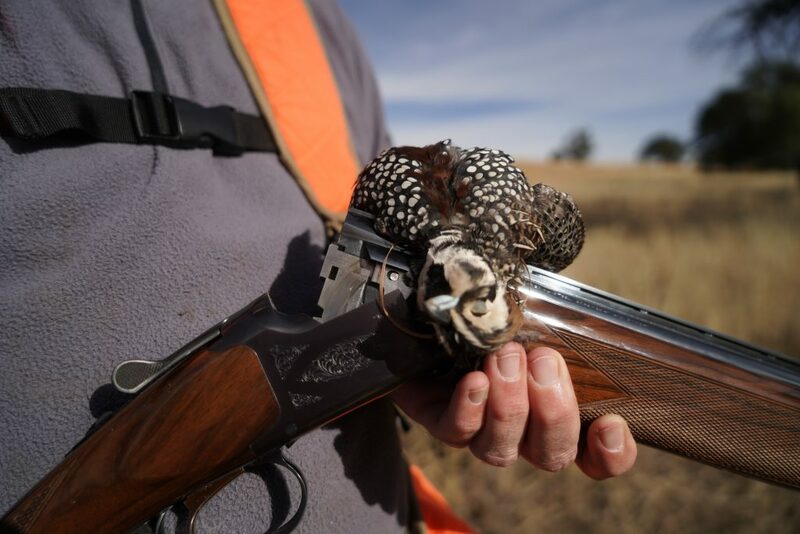 The 2018/19Season was all about Mearns Quail,with a few Gambels and Scalies thrown in.We had to work for the Birds but as the saying goes “thats what wild bird hunting is all about”.Our Clients like that and so do we. S.E. 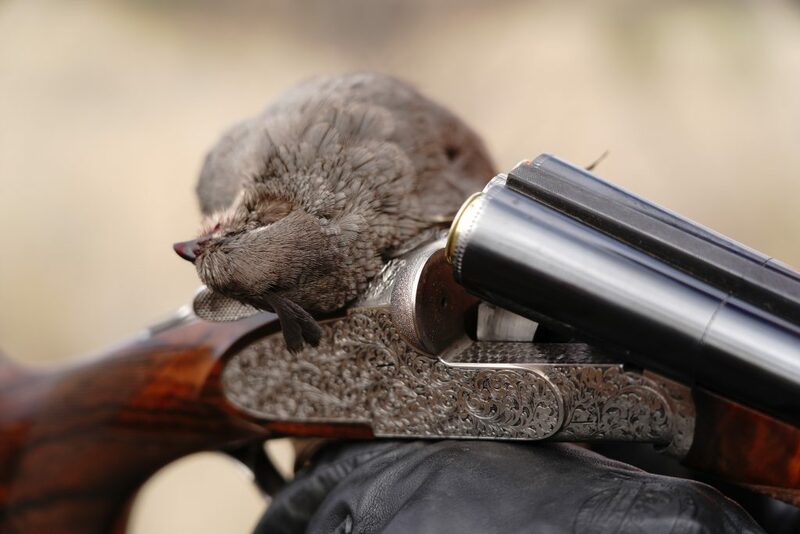 Arizona has had above average moisture over the Winter Months.Thats good news for Arizona Gambels and Scaled Quail ! 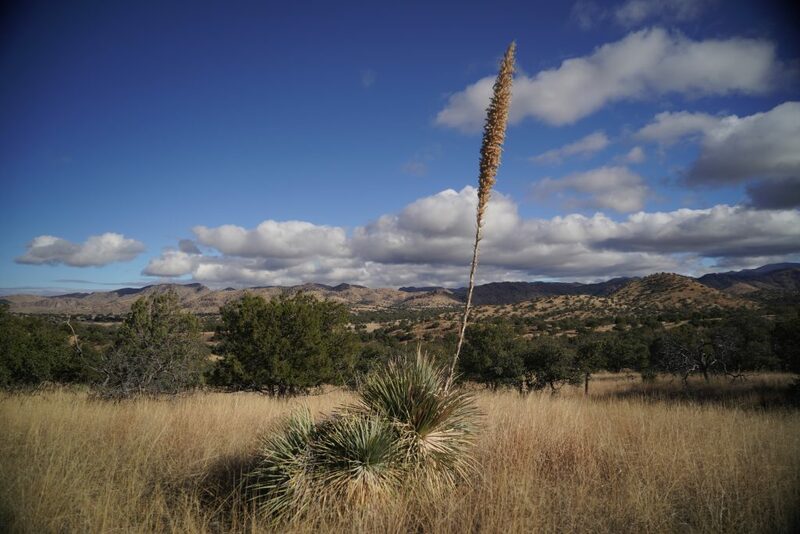 We are seeing a lot of green-up along with a ton of wild flowers that are getting ready to pop.Hunters looking to book trips should do it now.Some weeks are almost sold out.We are confident we will have fair -good Desert Bird hunting this season.It’s still to early tell forecast Mearns Quail as their hatching conditions are geared around Summer or Monsoon Rains. 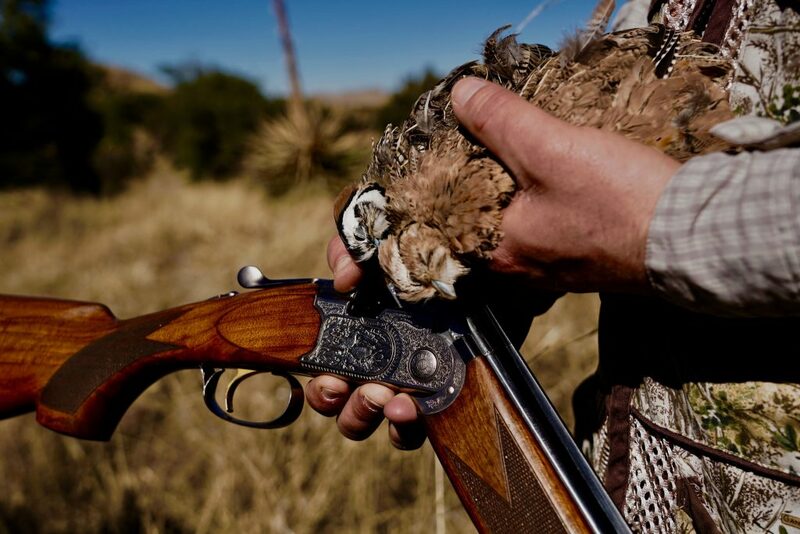 For more information our our Arizona Guided Quail Hunts including The El Coronado Ranch Hunts Click Here. 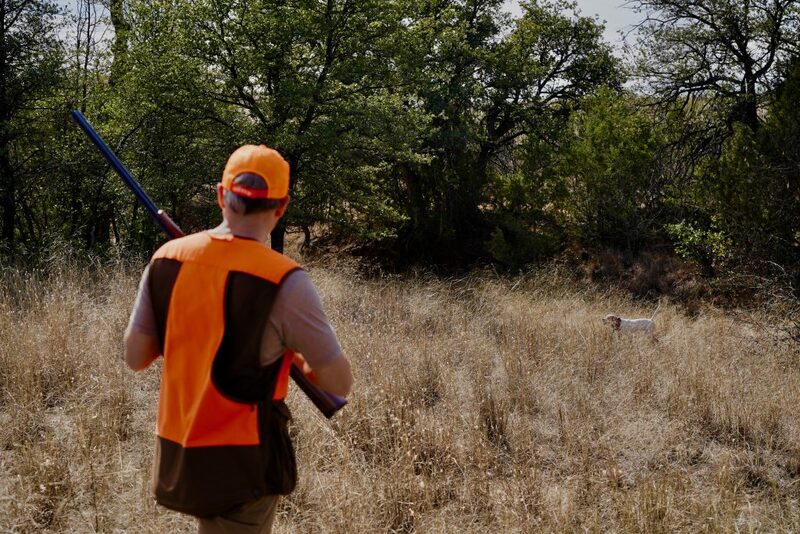 Hunting Huns and Sharptails can be very demanding from both a shooting and physical standpoint, as a lot of ground has to be covered and the dogs tend to range out to find their quarry, once found, the birds will move away from the point, which to the shooter means long shots at fast targets, for some first timers this type of behaviour leads them to believe that the birds are pressured, which is wrong, hunters should understand that Game Birds are at the very bottom of the food chain and have to contend with a lot of critters, not just hunters. Gray partridge and Sharptail Grouse evolved out of short grass eco-systems, both like to see what is around them so they tend to feed, loaf and roost on vantage points such as the sides and tops of hills and in some cases with Sharptails in trees, so when a threat approaches they can see and react accordingly to the threat by moving away from it, usually they first run, then flush and fly. 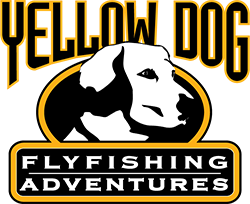 A good dog soon learns how to handle the birds, by pointing from a distance and not crowding the birds even when the dog re-locates on runners, this is something you can not teach a dog, they just learn from experience. Some of the best Hun Dogs I have owned, own or shot over pretty much “ hunker the ground “ when they are pointing and I have seen some dogs actually “Set” or lay down and these dogs were not Setters, all where Brittany’s .The dogs are pointing this way for a reason, they can see the birds and understand that getting to close means flushed birds, which is not welcome, from a Field Trailer’s standpoint this is not pretty, but from a hunter’s standpoint it shows the dog is “Wild Bird Smart” and deserves lots of praise. 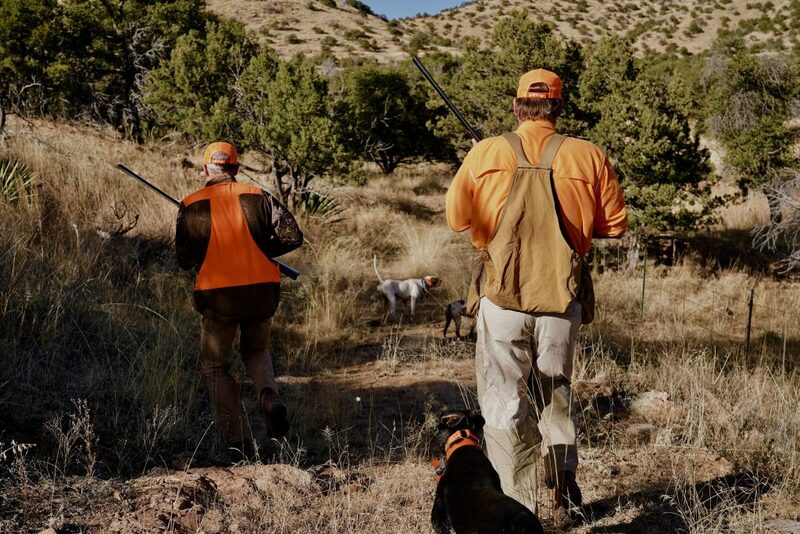 Hunters have to adjust to, they must aggressively cover the points by moving past the dogs so that they force any running birds to flush, if birds are not moved there is a good chance that they ran out of the Dog’s scent cone, or behind the dog, in either case the dog(s) are released so they can relocate and pin the birds. 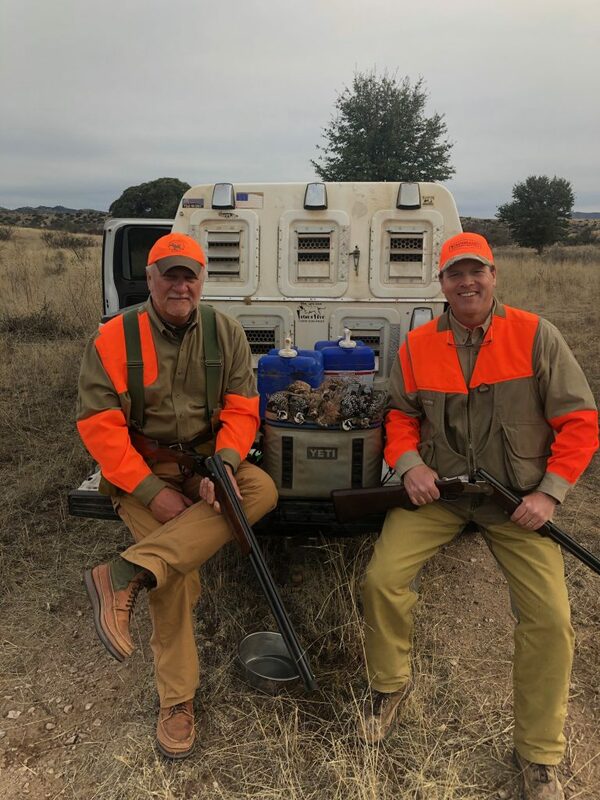 If the covey gets up wild or if no birds are shot from the covey, I like to pursue the birds and get on them before they have a chance to covey up again, as there are less sets of eyes on you at this time so the birds will sit tighter for the dogs and hunters. 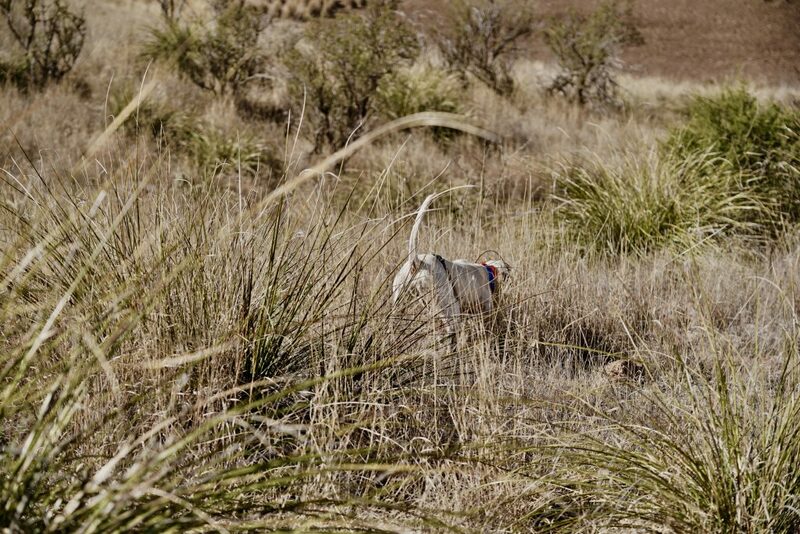 Windy days or no wind at all can make things challenging for the dogs and hunters as the already skittish birds seem to become a little more paranoid, resulting in wild flushes etc. however the same rules apply, stay on or pursue the covey until they are broken up. 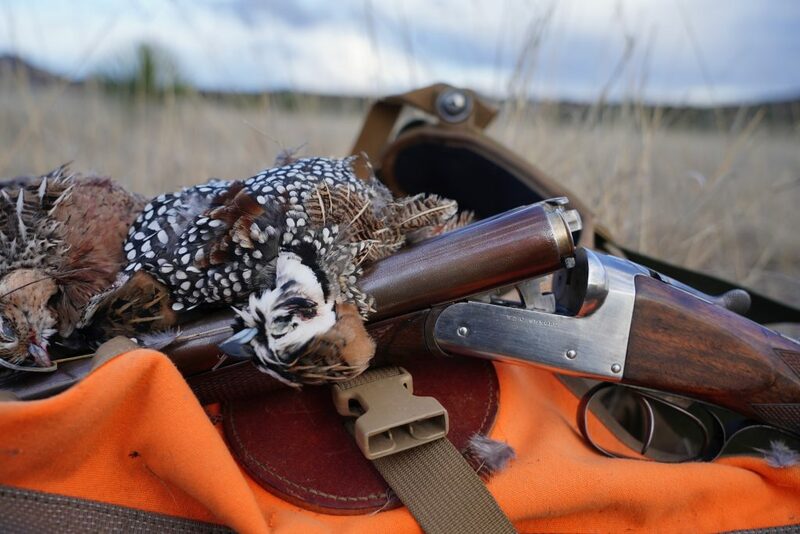 The same tactics hold true for Sharptail Grouse, when approached a lone bird may jump up causing the rest of the dispersed flock to do the same, but by pursuing the birds and forcing those to disperse will result in Dog work and Birds in the bag. Both Huns and Sharptails are creatures of habit and each group or covey usually goes to the same favourite places to feed, loaf, and roost, Knowing the area, the covey’s habits and where they are going fly to after they flush hHelps in the pursuit, but this knowledge is gained only with time, which for most folks is something they don’t have a lot of. 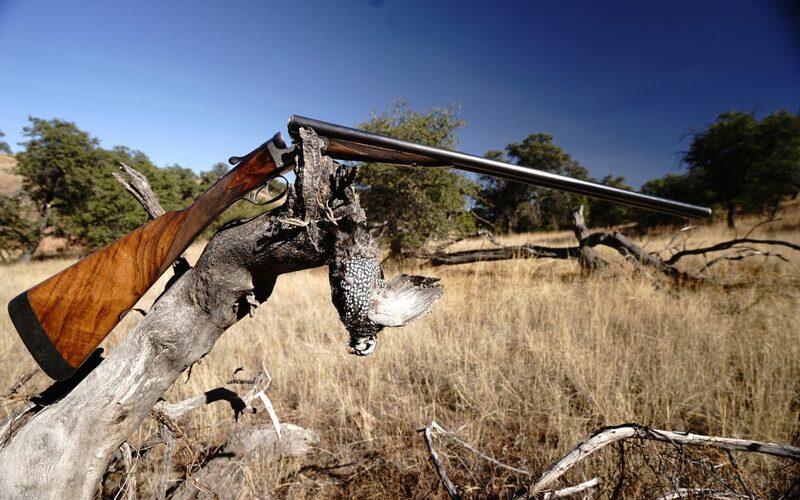 As far as bores are concerned, I am a big fan of 12 and 16 Gauge guns, 20 and 28 are fine but I have witnessed more wounded birds with 20’s and 28s than I have with the larger bored guns. 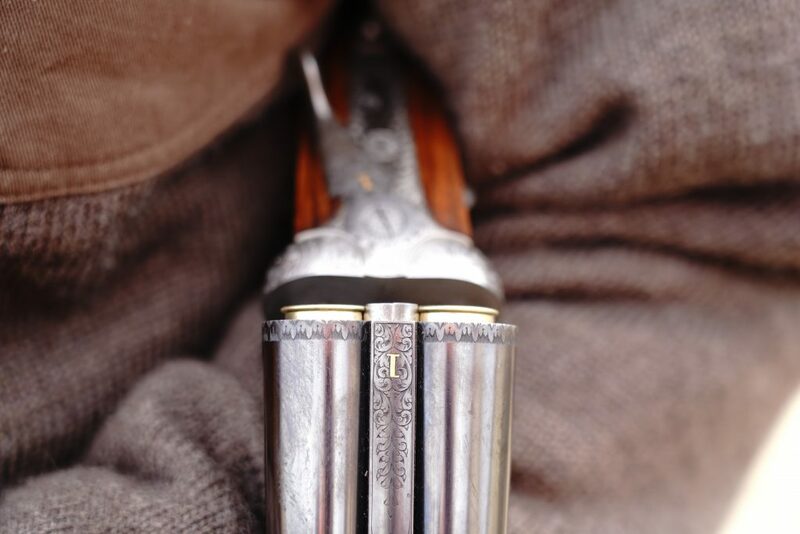 My personnel favourite for open Prairie hunting is a Belgian made SxS 16 bore, chocked IC and Extra Full with Double triggers, I have shot more doubles with this gun, than any of the others that I own , I also love double triggers as they allow you to quickly select your tighter choked barrel and reach out and touch the birds. Despite the challenges that prairie hunters face, there are days when the birds “fly up your sleeves” you just have to ready for it when it happens! 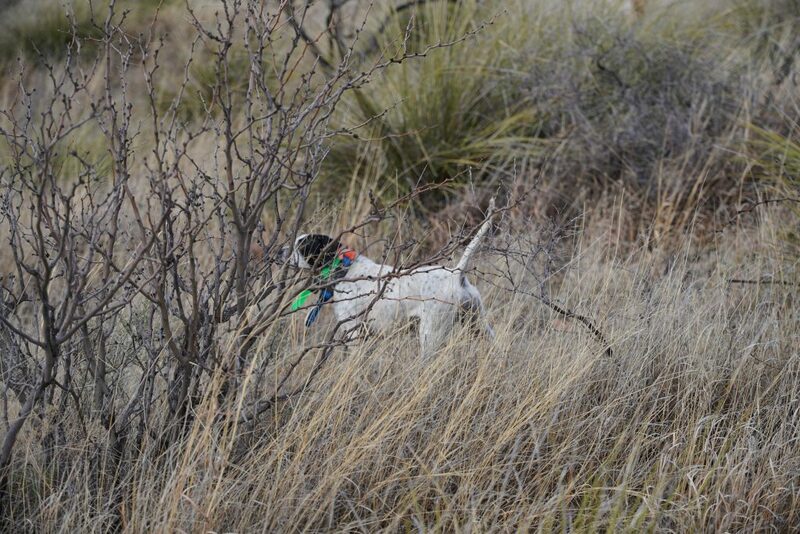 Dixie is the latest dog to Join our string ,I picked her up in Oklahoma via my good friend Mike Logan of Bodarc Kennel .Already she is point birds and backing the big dogs .I am having a lot of fun working with her and she is really enjoying getting out and figuring out what her nose is all about . 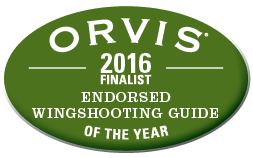 We are now one of the first Wild Bird Guiding Companies to take part in this unique program. 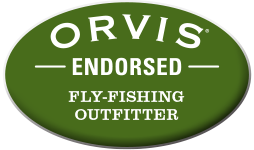 Our endorsement covers the broad scope of our operations and includes Saskatchewan ,Arizona and Oklahoma,I am excited to take part in this ground floor opportunity and as a D.B.O client you can expect excellent customer service and no B.S. when it comes to what are hunts are all about . With the record amount of rain in 2010 ,my guess is 2011 will be dryer ,resulting in good hatches of Huns and Sharptails .Waterfowl Hunting namely Duck hunting should also be excellent as I doubt the sloughs and potholes are going to dry up any time soon . 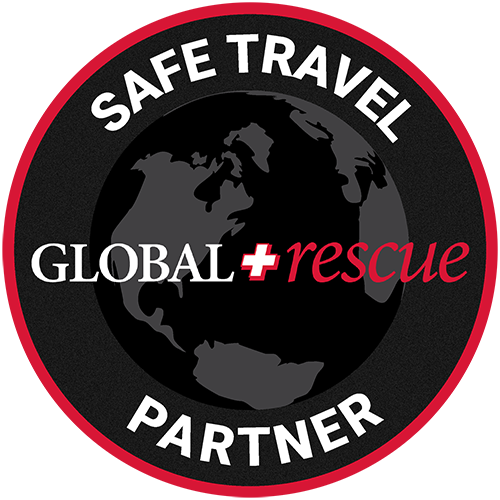 4 nights ,3 days =$2350 per person extra days are $550 per person ,plus 5% Sales Tax . 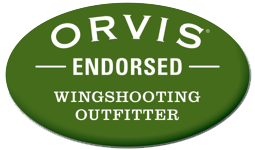 Rates are $800 for 2 hunters and $550 for a single hunter . 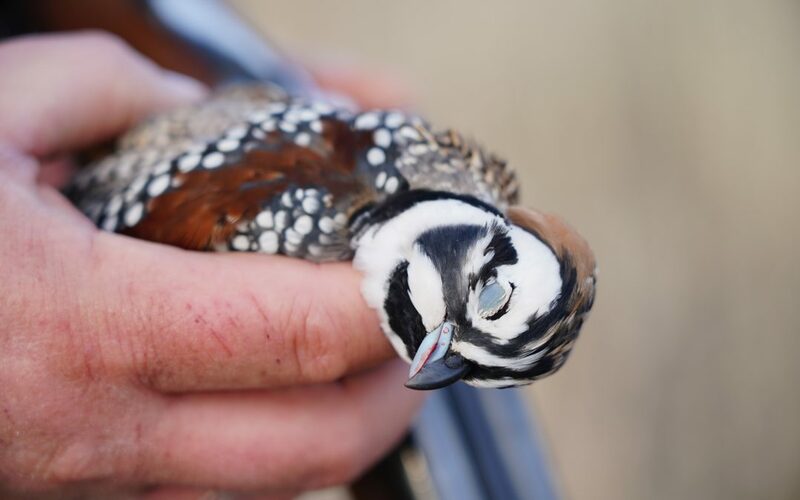 Our visit in January was encouraging the Bobwhite numbers where up from previous years and with a little spring time rain we should be back to the double digits for Covey finds stay tuned .2012 rates for Oklahoma are $1000 per day for two hunters ,this does not include lodging .which can be arranged at numerous Hotels in Woodward OK. 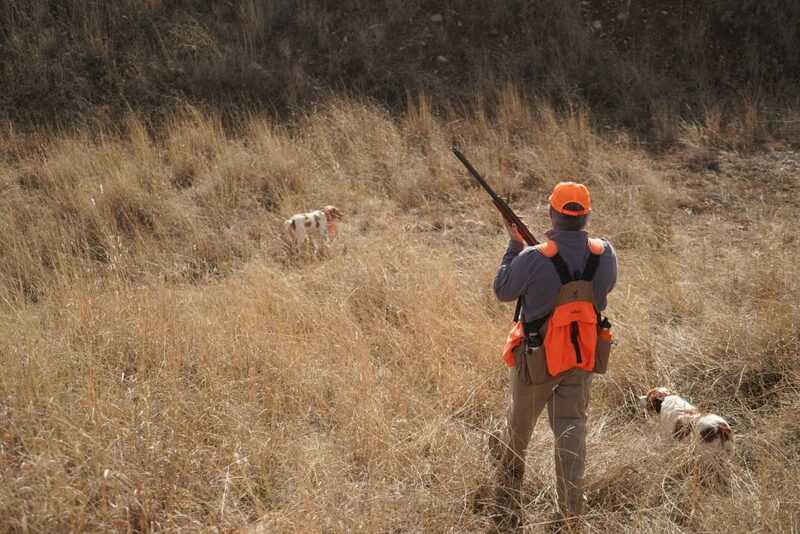 Contact me for rates and Dates Check out our new Oklahoma page on Arizona Bird Hunts.